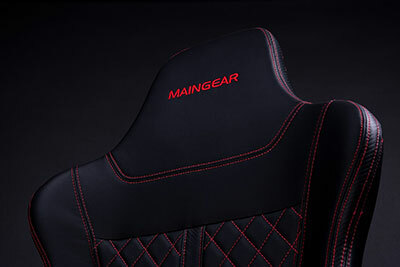 MAINGEAR FORMA gaming chairs bring MAINGEARs 15 years of enthusiast design experience to an in-house engineered gaming chair. With a focus on craftsmanship; FORMA features hand-selected premium materials as well as a robust design for even the most aggressive gamers. FORMA is developed for maximum comfort and flexibility featuring a wide range of ways to customize the position and fit to your liking. 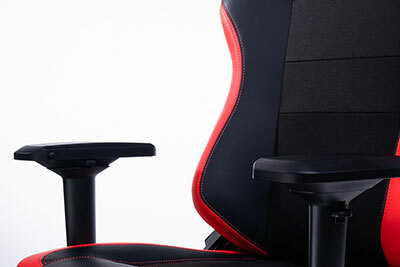 FORMA Gaming Chairs feature: Foam covered rigid tubular steel interior and durable external materials. Supportive and comfortable cold cured molded foam. 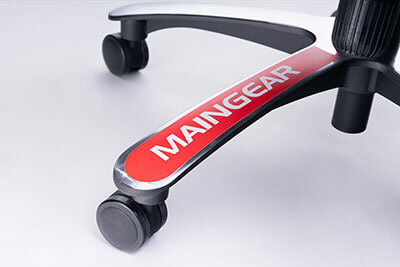 Ultra-quiet nylon wheels for smooth gliding. Class-4 hydraulic piston for precise height adjustments. Incredibly soft and supple leatherette for a premium look and feel. 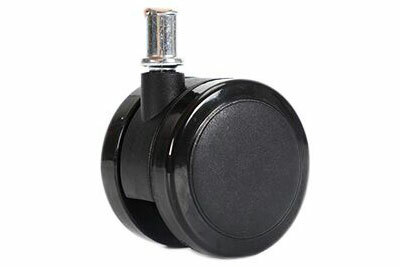 Aluminum alloy base for long-term use. 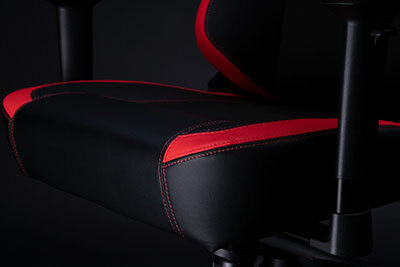 4D adjustable armrests for personalized comfort. 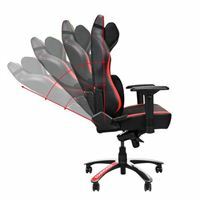 165 degrees of reclining and full tilt capability. Microfleece breathable memory foam headrest and lumbar pillows. 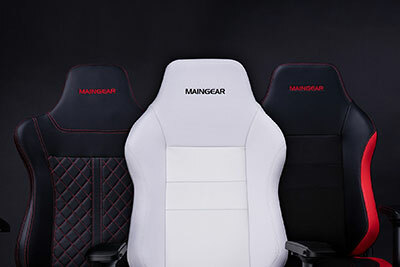 FORMA is available in options to fit all gamers, including the standard sized FORMA R (available in black/red or limited edition white/black) and the larger FORMA GT (available in black/red). 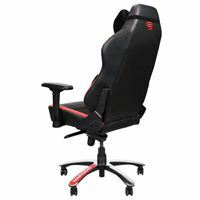 All FORMA chairs include a five year warranty with warranty replacement available in all Micro Center stores. 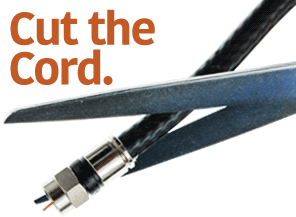 FORMA is committed to using the finest premium materials. From hand-selected fabrics and attention to every stitch, FORMA is synonymous with quality. 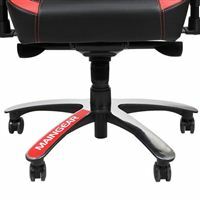 A chair should transport you to whatever game world you're in. That exactly what FORMA chairs are designed to do. With soft yet supportive cold cured molded foam, FORMA gaming chairs provide enduring comfort for even the longest gaming sessions. 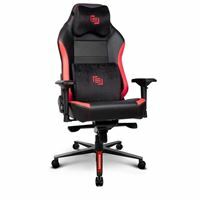 Clattering wheels that stick and slow you down will never interrupt your game play with FORMA's ultra-quiet nylon wheels, and a Class-4 hydraulic piston, FORMA is so confident in its reliability, every chair includes a five year warranty. Starting with the foam covered rigid tubular steel interior and durable external materials, FORMA is built for the most enthusiastic gamers. 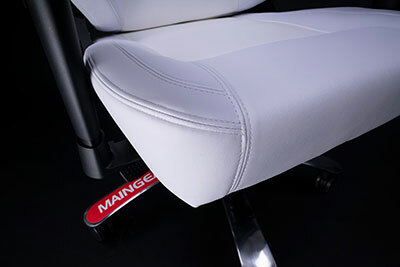 Incredibly soft and supple leatherette for a premium look and feel. 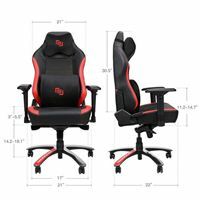 Gamers will appreciate the soft and supple leatherette, smooth water-resistant synthetic suede, precision dyed threading, and supportive soft-touch armrests, FORMA gaming chairs are easy to clean and designed to last. With an aluminum alloy base, your FORMA chair offers exceptional durability and ease of movement, so you're always positioned to optimize and maximum your game play. 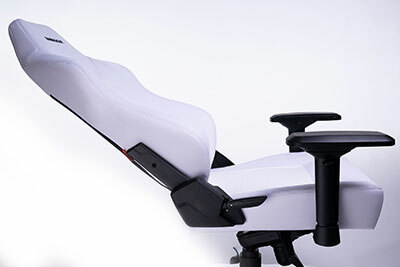 FORMA'S customizable ergonomics give you a personalized gaming experience, including 4D adjustable armrests. FORMA adjusts to fit every gamer's style. 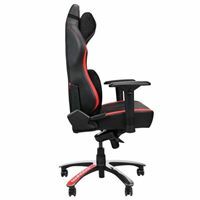 Whatever makes you comfortable, FORMA chairs are designed to provide exceptional support, flexibility, and durability for hours of gaming bliss. With the included micro fleece breathable memory foam headrest and lumbar pillows, FORMA provides support that conforms to your body.